In an ideal world, cars would run smoothly without any servicing or repairs but unfortunately, we don’t live in an ideal world. Cars require regular attention and sometimes develop problems that need a good mobile mechanic Chatswood. We at Frendo Mechanic have experts who can help keep your vehicles in great shape and repair any problems that they might have. If you want a friendly and skilled mechanic to handle your car repair needs, just give us a call and our experts will be at your doorstep in no time. 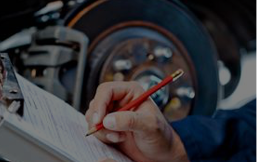 Car Service/Log Book Servicing – Most car manufacturers have strict standards of how a car should be serviced in order to maintain its performance and efficiency. This servicing would also help preserve your car’s warranty, which is why our experts recommend it to all our clients. We’ll follow the log book provided by your manufacturer and make sure your car is in the best possible shape. Pre-Purchase vehicle inspections – Vehicles, even used ones, are a considerable expense so it’s important to make sure they work well before you buy one. Our expert mobile mechanic Chatswood will inspect the vehicle from top to bottom to ensure it’s in a good condition. This would ensure your money isn’t wasted on the purchase. 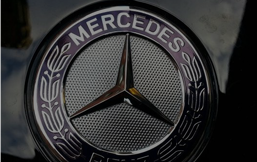 Mercedes Specialists – Mercedes cars are expensive for a reason. They’re very well made and every component in them works to improve the overall performance in the car. Unfortunately, unskilled mechanics that aren’t familiar with how Mercedes cars work, can damage the vehicles during repairs and servicing. 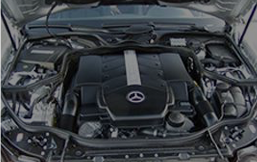 Our experts are Mercedes specialists and understand these vehicles and their service requirements well. Mechanical Repairs – We can handle all kinds of mechanical repairs including battery and alternator testing and replacement, brake and clutch replacement, starter motor replacement, radiator and cooling system repairs, timing belt replacement, steering and suspension repairs, transmission servicing, lights and air conditioning servicing, fuel system repairs, exhaust repairs, CV shafts, and engine warning light repairs. No matter what your requirements are, you can be certain our expert mechanics can handle it. We have over 12 years of experience in this field. Our company is fully licensed and insured. 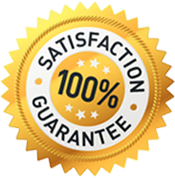 We offer workmanship guarantee with fixed price services. 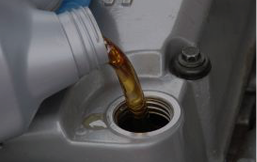 We’ll only install high quality parts and use the best oils available in the market in your car. You can call at Frendo Mechanic if you want to know more about our mobile mechanic Chatswood services, just dial 02 9024 9424 for high quality services. You can also get in touch with us through our contact us form and we’ll respond as soon as we can. Experience Frendo's Quality Services Now! All your information will be 100% Private. No information will be shared. Need Your Car Serviced From a Friendly & Reliable Car Specialist? Copyright © 2019 Frendo Mobile Mechanic - All Rights Reserved.